Just to thank you for your help and advice last week. My order of PP1-2837-2700 motor, ESC, programming card, prop driver & 2 props arrived next day. Super service. The advice for motor etc you gave works a treat. The model is built from a Traplet plan. MW3136 Pushy Cat. After flying, motor was just warm and flight time is around 8 minutes with use of mixed throttle as you suggested. 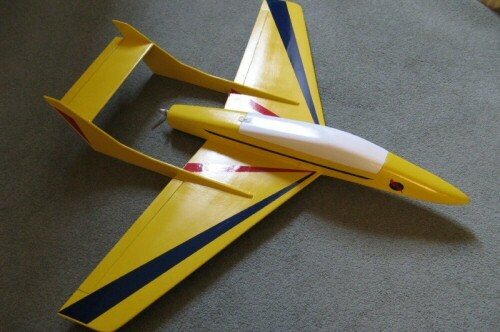 It is a very fast model but very easy to fly and lands very slowly.